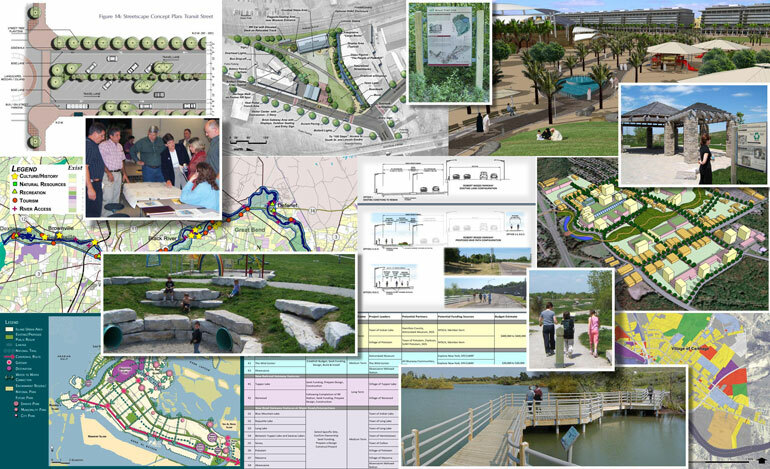 Our planners, designers and landscape architects offer effective plans, studies and designs that can be easily understood and implemented. We work in a highly collaborative environment to which every member of our staff contributes. We possess a diverse set s of skills we successfully combine to resolve the social, environmental, cultural, economic and aesthetic issues which urban, suburban and rural communities face.